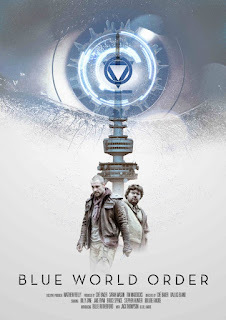 Another Post Apocalyptic movie, not that I'm complaining, this time the human race has been infected with a type of software that controls the mind. It was first thought to be a cure for a bacteria which initially infected everyone but then people started to realise (too late) that it was designed to control them. There are no more children either apart from one young girl, Molly, who has been hidden and is on the run with her father, Jake. Unaware of the disappearance of the kids or the software infection until Molly is in need of medical attention and Jake discovers the extent of the infection, who is causing it and discovers a Resistance against the people controlling them. He teams up with the Resistance in an effort to free the world from this control but are the people responsible for this software really the bad guys or are there bigger problems on the horizon? The plot does have a few interesting twists and seems largely based on miscommunication and people just doing what they think is right. I enjoyed this movie but I did feel that at nearly 2hrs long it could've done with a bit of trimming down, there certainly were parts that were a bit unnecessary and dragged on including a drawn out car chase featuring (of all cars to choose) the DeLorean! I'm thinking they possibly should have concentrated on clarifying some other plot areas. Great cast though with an actor I am unfamiliar with but seems to have done a few Drama shows called Jake Ryan as lead guy and father to Molly, Jake Slater. He was good and could easily slot in to more Action based roles (in my opinion) and he is very easy on the eye which also helps! Stephen Hunter who played one of the Dwarves in The Hobbit movies is MadCap, a member of the Resistance who helps Jake. Bruce Spence of Mad Max fame has a small part as a torturer. One of the Directors Dallas Bland has a small role in this too. Last but by no means least we have Billy Zane (we all know him right?) as Master Crane, is he a goodie or a baddie? Looking very much like British comedian Micky Flanagan in the first half and then takes on a Mike Myers as Dr. Evil look in the second half of the movie. To say the acting is great in this though would be an exaggeration, its okay but it has a fair few moments of awkwardness. I don't remember any stand outs in the soundtrack either, just the usual epic fight scene stuff and a pop tune at the end but I didn't think it was horrendous. Same goes for the special effects, there was nothing that really blew me away but it was watchable. In summary it was too long but I found it entertaining. Would I watch it again? No, but going by the final twist I would be up for watching a sequel to it if they ever make one.